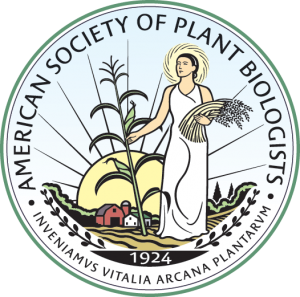 The American Society of Plant Biologists was founded in 1924 to promote the growth and development of plant biology, to encourage and publish research in plant biology, and to promote the interests and growth of plant scientists in general. Over the decades the Society has evolved and expanded to provide a forum for molecular and cellular biology as well as to serve the basic interests of plant science. It publishes the highly cited and respected journals Plant Physiology and The Plant Cell. Membership spans six continents, and our members work in such diverse areas as academia, government laboratories, and industrial and commercial environments. The Society also has a large student membership. ASPB plays a key role in uniting the international plant science disciplines. Membership in the American Society of Plant Biologists is open to anyone from any nation engaged with the full spectrum of plant science research from fundamental to applied. What is a Plant Scientist? A plant scientist specializes in the scientific study of plants. Within plant biology there are many areas of interest including cellular and molecular biology, genetics, development, evolution, physiology and biochemistry. Plant scientists are working world-wide in nearly all industries including academia, corporations, pharmacology, research, non-profits and government. The Gude Plant Sciences Center, given to the Society by the Adolph E. Gude, Jr. family, is maintained as the Society’s national headquarters.